When Xbox Music finally made its debut on the iPhone last September, one of its most notable shortcomings was the lack of ability to store music locally for offline listening. But a new update that hit the App Store today rectifies that, giving subscribers the ability to enjoy their favorite playlists without a data connection. To store music locally, simply hop into the playlist you wish to save and toggle the “available offline” switch — the tracks will then be downloaded to your device. Of course, the larger the playlist the more storage it’ll take up on your iPhone, so that’s something to bear in mind if you don’t have a lot of free space. Once the tracks are downloaded, you’ll be able to enjoy them anytime, anywhere, without a Wi-Fi or cellular connection. So you’ll no longer have to worry about your music cutting out on the bus or the train on the way to work. 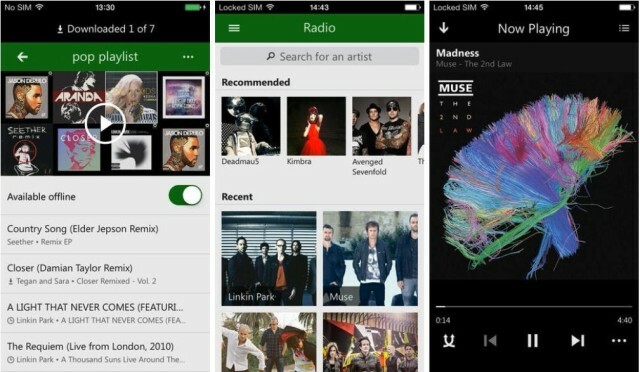 The Xbox Music app is free to download from the App Store, but you’ll need an Xbox Music subscription priced at $9.99 per month to use it.